Sam Jennings speaks on the cultural importance of the Prince Online Museum. A web-based archive of many of Prince's official websites from the past 20 years launched this week as a stunning in-depth tribute to the late icon. The pleasingly colourful and informative new site, titled the Prince Online Museum, may just be the ultimate digital homage to the Purple One, who died earlier this year, by honouring an influential career and further inspiring a new wave of creatives. 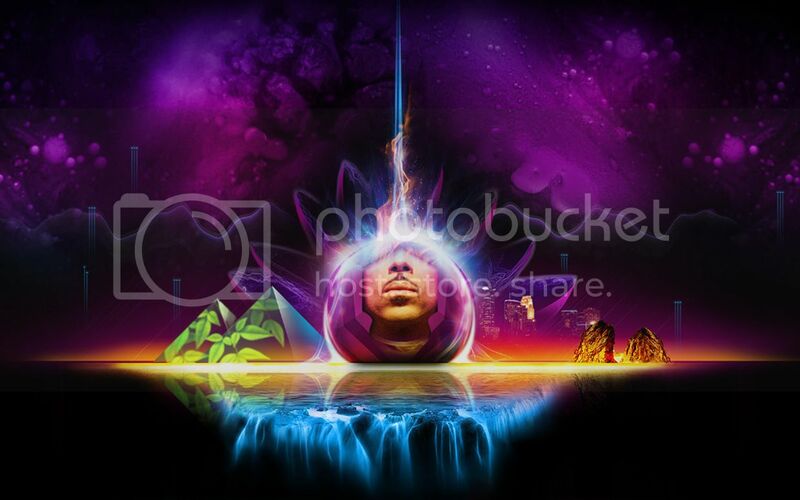 Formed from twelve of Prince's most popular former fan-sites, which were considered an essential part of the creative process of a number of his album roll-outs, the Prince Online Museum offers a detailed history and intimate glimpse at a carefully curated life and Prince's dedicated interactions with fans. Sam Jennings, the director of the hub, was also webmaster of Prince's Webby award-winning NPG Music Club website, and calls the project a labour of love. While speaking with The 405, following the site's launch, Sam details the importance of building a digital space to honour Prince's legacy in order to learn so much more from him. Where did the idea for the Prince Online Museum come from and what was the process like of collaborating on it? Sam Jennings: I had worked for Prince for 9 years from 1998 to 2007, and I managed to create about five websites for him during this time. I had the idea for the Online Museum before Prince's passing because I kept all my files from my time, and I knew that the fans would love to see these sites again. Plus I really wanted to remind the world of all the ground-breaking work Prince accomplished at the beginning of the 2000s. After Prince passed, there was obviously a renewed interest in his life's work. I knew there would be several musicians coming forward to talk about his music, but I had a unique perspective on another side of his cultural impact. I met with some of the other webmasters who he has worked with, like Scott Addision Clay who was behind Lotusflow3r.com, and I decided now was the time to make it happen. Everyone contributed their time and energy to get their sites working again, removing all the commerce and downloads so the experiences wouldn't cost anything, and I compiled them all in to a timeline. What was the most interesting thing you learned about Prince while working on the project? Why was this such an important labour of love for you specifically? I worked with Prince for so long and did so many projects with him, I still look back at that time as one of the most creative and productive times I have ever been involved in. To be able to bring back that work and share it with the world again is a great joy for me personally and professionally. And from the fan perspective, I have heard from so many Prince fans who really cherished their experiences with his sites in the past, and they are loving being able to remember and reconnect with that through this Museum. My job creating the sites in the first place was to serve the fans, so it feels great to be able to do that again in any way I can. Why is something like a digital hub so important to Prince's legacy? Prince was a musical genius, everyone knows that. The tributes and accolades to his musicianship since his passing keep coming in and will for a long time. He certainly deserves all that, but there is more to the story. Prince has been a champion for artist's rights for the majority of his career and a big advocate for independence and freedom from what he saw as an exploitative and unjust recording industry. As soon as the internet allowed, he eagerly got involved, and he saw it as his direct channel past the music industry that had a monopoly on distribution up until that point. He was doing what very few mainstream artists were doing at the time and building his own artist-owned business to distribute music, sell concert tickets and sell retail merchandise. He did this in some form or another for the rest of his career, and I feel it's important to hold that up as a tribute and an example of going against the grain to do the right thing. What can we learn from the way Prince used the internet to establish a direct connection between an artist and an audience? The biggest lesson we can learn is that an artist always has options. Their career is in their hands more than their managers and record labels will ever tell them. Prince sacrificed a lot monetarily to go independent, but what he gained was ownership and control of his art. He gained a loyal following that he called family. And he proved an artist-owned business can succeed and win awards without any industry strings. The internet has broken down the barriers between an artist and their audience, and he was one of the first major artists to draw attention to that.